This week for the Featured PE Teacher section on the PE Central Facebook page, the spotlight is on Emily Leffelman! 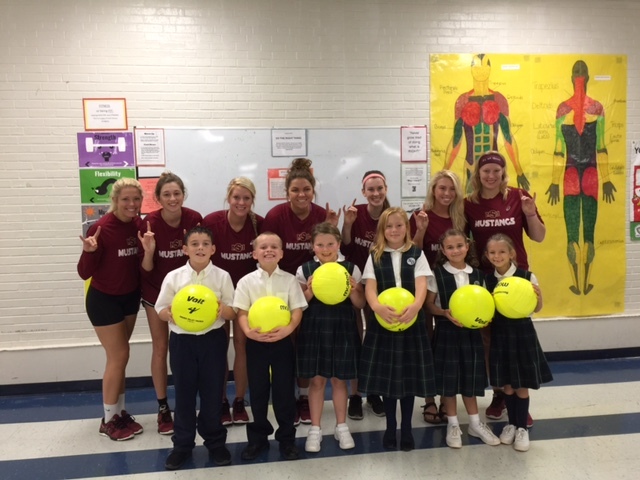 I teach Kindergarten through 8th grade Physical Education and 8th grade Health Education at Van Orin Elementary School and Allen Junior High School in Illinois. I teach 141 students daily, and have been teaching for a total of 9 years. Allen Junior High (6-8th) will be starting the Frisbee Unit. The 4th and 5th graders will review proper throwing steps and ways to catch the frisbee. They will then transition into target throwing. The 6-8th graders will begin by reviewing the rules of Ultimate Frisbee, then begin participation in Ultimate Frisbee games. The 4-8th students will then be introduced/review the rules of Golf and the unit will end by participating in Frisbee Golf. 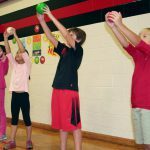 Van Orin Elementary (K-3rd) will starting Fitness Stations. The students will soon be participating in Fitness Stations. 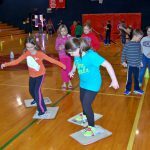 The stations will include basic flexibility stretches, cardiovascular endurance, muscular endurance, and hula hoop activities. The students will be given challenges and options at each station to help peak interest and offer differentiation to meet the students needs. The stations will also tie in Fire Safety, including a Fire Safety obstacle course! Empowerment and Engagement are my focuses for the 2017-2018 school year. I want to empower the students within my class through choices. I want the students to be engaged on a daily basis through active participation and critical thinking. My favorite units to teach at the junior high level are Badminton and Dance. Badminton is a newer unit in our district and the students love participating in it! From scoring to playing, the students have active participation throughout the unit. The dance unit ends with a Create-A-Dance activity. The students take skills and steps learned within the dance I have taught and then apply to their own dance. 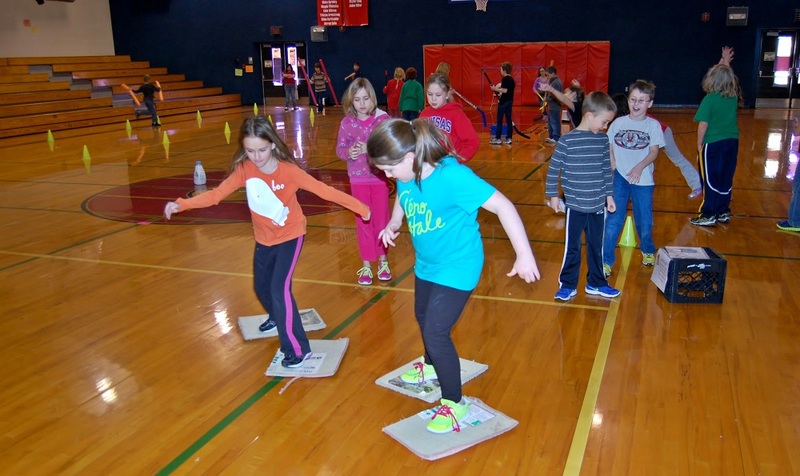 The Create-A-Dance unit offers the students an outlet to the students offering cooperation, creativity, and differentiated learning. My favorite units to teach at the elementary level are Circus Stations and Fire Safety. The circus unit is fun and the students have a blast. It ends with a Juggling Show where the students can show off their talents to parents and family members. 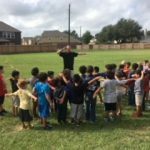 During Fire Safety Week, the students participate in a Fire Safety Obstacle course, Fire Safety lessons, and I collaborate with the local Fire Department to educate the students each year. There are many things I love about being a PE teacher, but my favorite part has to be my students. There is never a dull moment and my classes are full of laughter. Seeing the eyes of students light up with joy while playing a game or completing a task makes everything worth it. I am blessed to work alongside friends and within a supportive community. 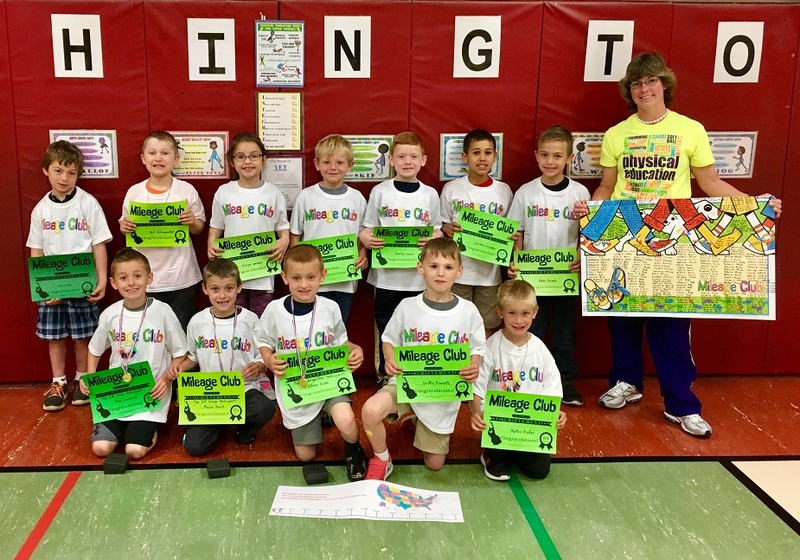 This entry was posted in Featured PE Teacher, PE Central and tagged Allen Junior High School, badminton, dance, Emily Leffelman, featured pe teacher, Fire Safety, fitness, Fitness stations, frisbee, PE, PE activity, PE Central, pe stations, pe teacher, PE Teachers, physed, physical activity, Physical Education, students, teacher, Teachers, Van Orin Elementary School by S&S Worldwide. Bookmark the permalink.